This test method covers the laboratory determination of the age at cracking and induced tensile stress characteristics of mortar or concrete specimens under restrained shrinkage. The procedure can be used to determine the effects of variations in the proportions and material properties of mortar or concrete on cracking due to both drying shrinkage and deformations caused by autogenous shrinkage and heat of hydration. 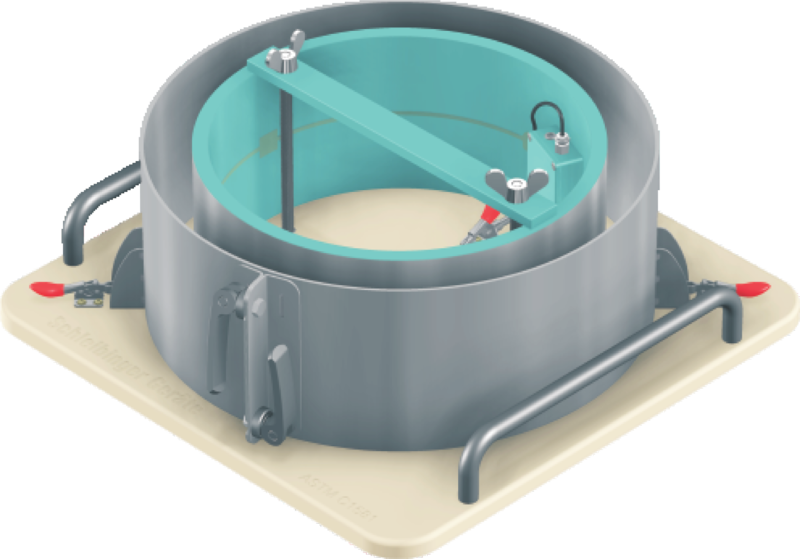 A sample of freshly mixed mortar or concrete is compacted in a circular mold around an instrumented steel ring. The compressive strain developed in the steel ring caused by shrinkage of the mortar or concrete specimen is measured with 4 strain gages from the time of casting. Cracking of the test specimen is indicated by a sudden decrease in the steel ring strain. 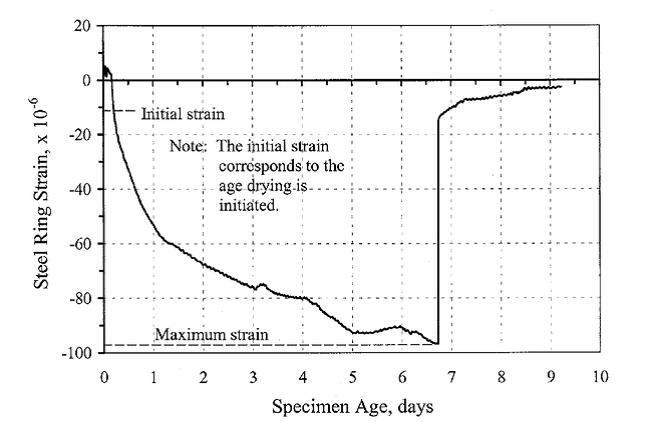 The age at cracking and the rate of tensile stress development in the test specimen are indicators of the material’s resistance to cracking under restrained shrinkage. A data-logger supplied with the system records strain gage data and stores it in the logger as standard ASCII files. Optional a synchronous registration of temperature and humidity of a balance is possible. Two temperature channels and a mixed temperature-humidity channel are available. The logger has a network interface (Ethernet). So you can easily integrate it into local intranet. With standard web-browser software you can readout the data and visualize it. For further data handling we recommend Microsoft Excel ® or any similar visualization program. The data are visualized online graphical and numerical on the screen. No special PC software is necessary. You need only your browser-software like Firefox, Chrome or Internet-Explorer ® . Network interface and built in WEB-Server, software pre-installed.